3. Write: The quick brown fox jumps over the lazy dog. Grabbed a tag and posted the answers in my handwriting! Thanks to "The First Lime"
Gokulashtami special - Photographic Post! 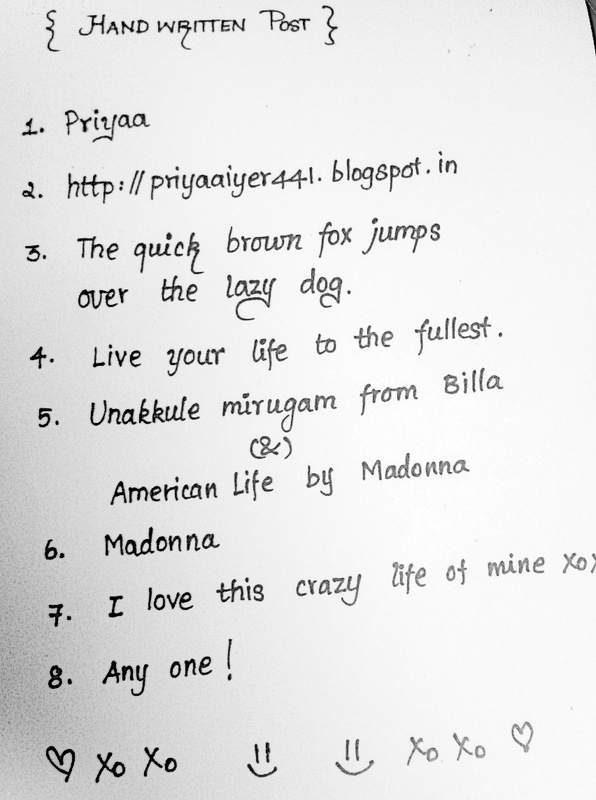 © Priyaa's Journal. Awesome Inc. theme. Powered by Blogger.